The city of Prince George celebrated Bioenergy Day today with an open house to their Downtown Renewable Energy System. The system heats 11 downtown buildings using water heated with sawmill residue at Lakeland Mills. Locations include City Hall, the Four Seasons Pool, and the Public Library. The city recently added the Wood Innovation and Design Center, Plaza 400 and the Law Courts to their roster of buildings heated with the system. The piping is nearly three kilometres and reaches as far as the RCMP detachment on Victoria Street. 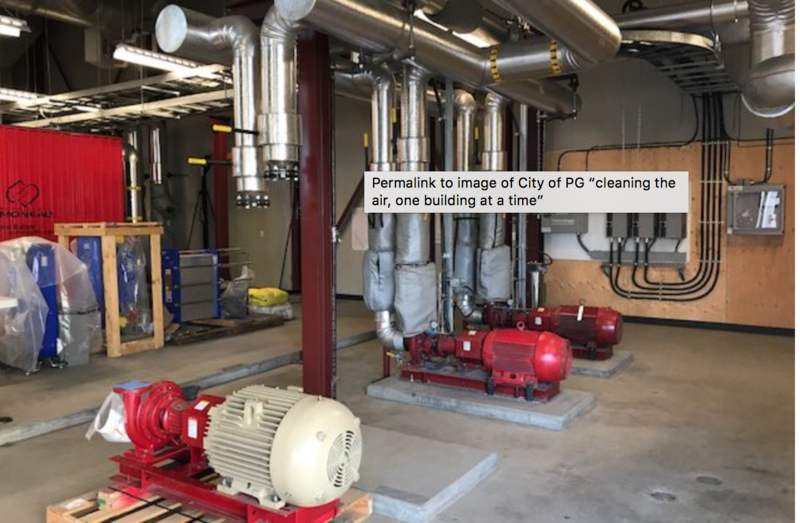 According to the city, by displacing consumption of natural gas for heating, the Downtown Renewable Energy System has reduced the City’s annual greenhouse gas emissions by approximately 2200 tonnes annually.